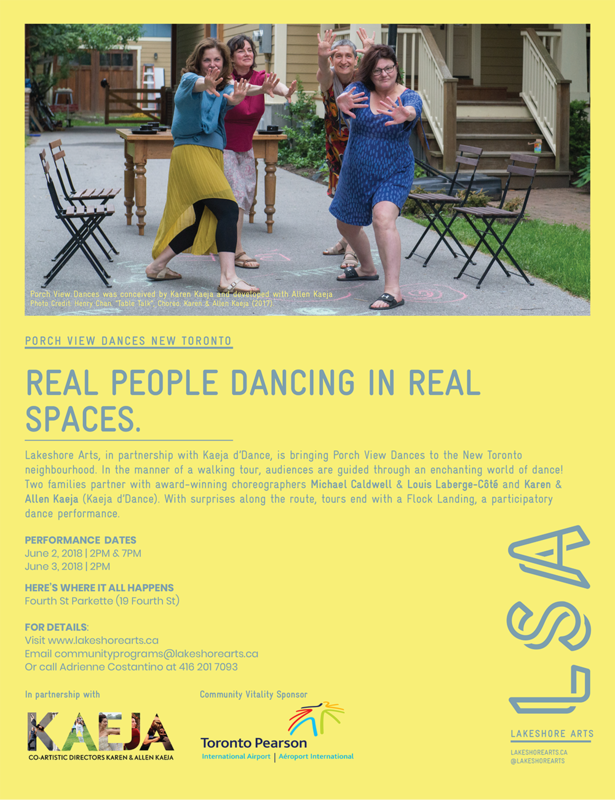 Porch View Dances: Real People Dancing in Real Spaces is a community dance event conceived by Karen Kaeja and developed with Allen Kaeja of Kaeja d’Dance, that has seen overwhelming success in the Seaton Village community for over seven years. In June 2017, Lakeshore Arts partnered with Kaeja to pilot the Porch View Dances (PVD) program in the Long Branch community. This year, PVD will travel to the New Toronto community happening Saturday June 2nd & Sunday June 3rd, 2018. Dancing with Parkinson’s delivers “dance classes to those living with Parkinson’s disease throughout the GTA. 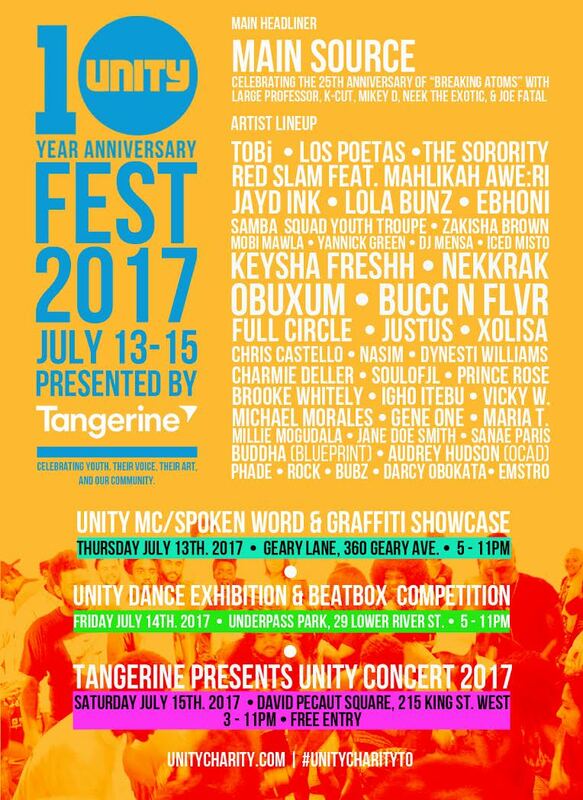 “Unity Festival is a FREE, youth-focused Hip Hop festival happening July 13-15, 2017 featuring some of the city’s top current and upcoming talent in beatboxing, spoken word, MCing, graffiti art, break dancing, all styles dance and more! Tangerine presents Unity MC / Spoken Word & Graffiti Exhibition 2017 in partnership with R.I.S.E. The Unity MC /Spoken Word & Graffiti Exhibition is back for 2017 and we are celebrating 10 years of Hip-Hop, Dance, Spoken Word, MC’ing and Beatbox with special guests. Unity Fetsival 2017 kicks off on Thursday, July 13th at Geary Lane with our annual MC / SPOKEN WORD & GRAFFITI EXHIBITION in partnership with R.I.S.E., SKETCH & VIBE ARTS. 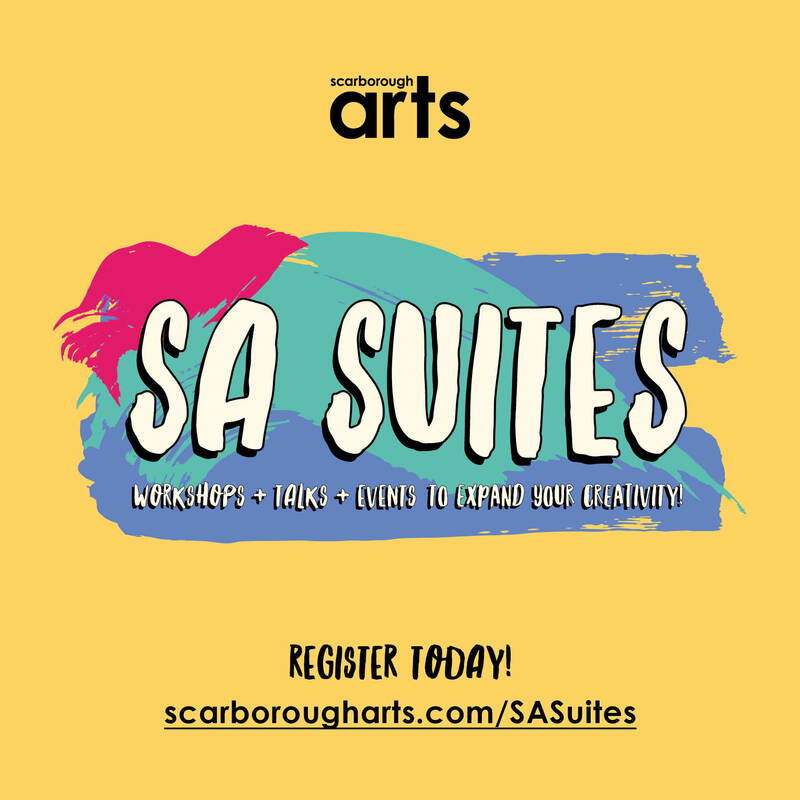 The night showcases som eof Toronto’s most prolific music and visual artists alongside the most promising youth performers selected form UNITY, VIBE ARTS, and SKETCH’S city-wide after school and drop-in programs. This year we are very proud to host two of Canada’s leading artist educators who will lead the exhibition with presentations on how they empower and effect change in individuals and communities. STEPHEN “BUDDHA” LEAFLOOR is an internationally recognized and awarded social worker, celebrated dancer, and founder of BLUPRINTFORLIFE, which has brought empowerment, hope and real social change in Canada’s north and urban centers. DR. AUDREY HUDSON, is an assistant professor at OCAD University where she has developed two courses on teh influence of Hip-Hop art and design practices who views teh arts as a tool to begin decolonizing education because of teh creative platform it provides for historically marginalized communities. Tangerine presents Unity Dance Exhibition & Beatbox Competition 2017. On Friday July 14th we are very excited to host our UNITY DANCE EXHIBITION & BEATBOX BATTLE at UNDERPASS PARK, under the Eastern Avenue, Richmond and Adelaide Overpasses. The DANCE EXHIBITION features Toronto’s top youth nand professional street dancers in a number of different battles highlighting hip-hop, breaking, popping, and house, Our first round will focus on the community youth and alumni who have developed their skills alongside the guidance of Unity’s program faciliatators. For the second round, selected mentors from various established dance crews will battle alongside their top students against other mentor/student crews. And for our last round, a number of the most well-respected crews including CASINO BOYS, TENSE IMAGE, ALIBINO ZEBRAZ, WAREHOUSE JACKS, and many more will face off against each other for the first time on Unity’s dancefloor. Once again, BEATBOX CANADA, the most respected champion of the beatbox community will showcase the underrated art of vocal percussion with an epic battle between Toronto’s top beatboxers in a 1 vs 1 musical battle for 20 years and under. Battle judges are Unity Alumni PARALLEL (Sparx & Psyriene) and WORDOFMOUF (Killabeatz & Subconcious) will represent this art as a part of the human narrative and beatboxers as true musicians while inspiring young talent to pursue new ways of artistic expression through their performances. – Capped at 16 entries, first come first serve so email and contact ASAP! MAIN SOURCE celebrating the 25th Anniversary of their classic album “Breaking Atoms” with an all star line up that includes LARGE PROFESSOR, K-CUT, MIKEY D, NEEK THE EXOTIC & JOE FATAL. R.CHUNG, DIAMOND OSOTEO, & BRITTA B. 215 King St. West @ John ST.
“Call for Community Engaged Residency Projects in the communities of Made in BC’s Network of presenters. Vision: A province where dance is part of everyone’s life. Mission: To foster, encourage and strengthen dance culture throughout BC by encouraging cooperation, dialogue and network development among BC presenters, artists and partners, by increasing awareness and appreciation for contemporary dance within the province through professional dance presentation and community-engaged dance programming. 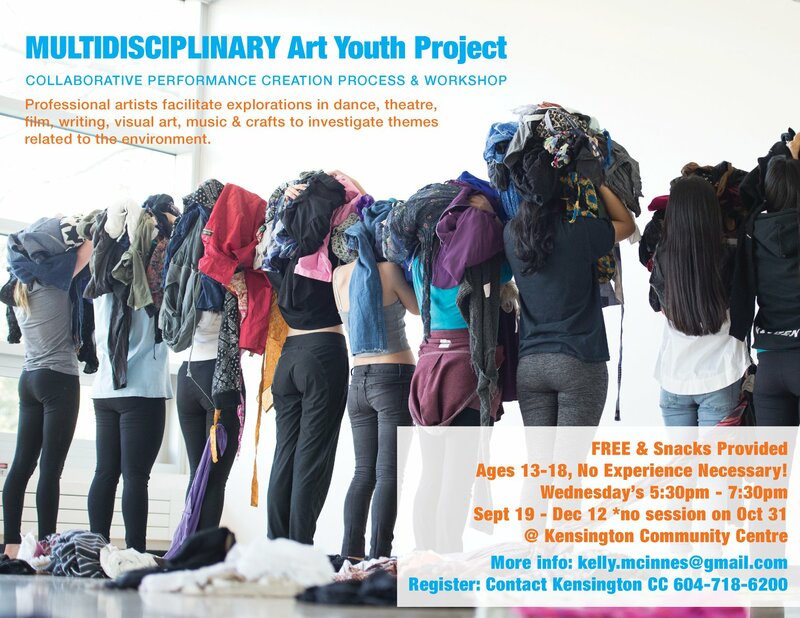 Are you a Choreographer / Community Engaged Dance Artist with a community engaged residency project that you would like to produce with a BC community outside Vancouver? Made in BC – Dance on Tour is looking for community engaged projects to produce in partnership with the MiBC network of presenters. It is MiBC’s intention to connect artists with presenters to create community engaged residencies. As explained in the selection process details below, MiBC is able to assist with partial funding for selected residencies. • Projects may be hosted by one or more than one community. • Artistic merit and experience in dance practice. • Experience, inventiveness, ethics, attitude and use of safety protocols about working collaboratively with community members. • Knowledge, skills and capacity required to coordinate and administer the planning, delivery and reporting on the residency, including willingness to assist in funding research and application. Please fill the form here and include all required texts and documents.